Due to their vast size, warehouses and industrial facilities require high quality lighting to ensure the safety of the workers and guarantee smoothness in operations. These facilities also experience harsh conditions, for example, high temperatures, high levels of humidity, corrosive elements, dirt and dust, and so on. Therefore, when choosing lighting fixtures for these facilities, you need to choose carefully so as to only select fixtures that will guarantee a great performance for a long time. LED lights are the most popular fixtures when it comes to warehouse and industrial lighting. This is because they are energy efficient and have a better quality lighting. LED fixtures also feature advanced designs, which makes them very durable. However, even with all these qualities, not all LED fixtures can be used in warehouses or industrial facilities. This means that you have to carefully select the LED fixtures you can install in any of these facilities. 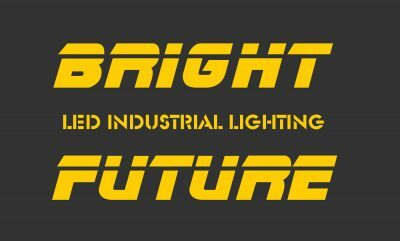 Factors to consider when choosing industrial LED lights? One of the most important factors to consider when choosing industrial LED lights is the area where they will be installed. Each industrial facility is different in terms of floor space, the height of the facility, available ceilings, amount of natural light, the environment (hot, cold, dusty, etc. ), the types of operations being carried out (how will they affect the light fixtures), etc. All of these factors will determine the type of light fixtures that can be installed. For example, with large industrial facilities that have high ceilings, you will need fixtures with high luminous output to ensure that there is enough light. The type of ceilings that are available will also limit the installation techniques of the light fixtures, which means that you will need to buy fixtures that can only support the available installation method. When it comes to the industrial environment and the operations being carried out, you need to choose light fixtures that can withstand all the harsh elements that could be otherwise damaging to standard light fixtures. 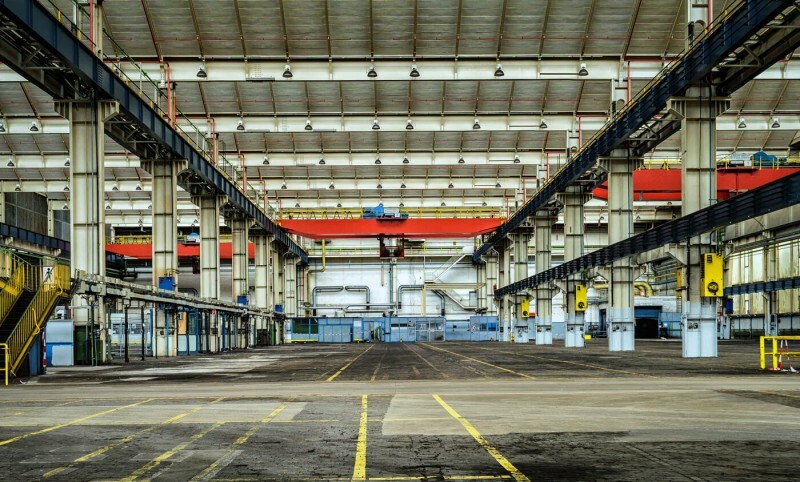 With large spaces, equipment, and several dozens of employees moving around in enclosed spaces, industrial facilities can get dangerous very fast. It is for this reason that they require maximum lighting to guarantee safety of both workers and equipment. It thus stands to reason that the amount of light produced by a fixture is one of the top things you should look out for when looking to purchase LED fixtures for warehouses or industrial facilities. This is something that can be determined easily by looking at the luminous output of the fixtures. In addition to high light output, you should also look for LED fixtures that offer high-quality lighting. One of the things that determines the quality of light produced is the beam. The beam angle (angle of dispersing the light beam) should be in such a way that most, if not all, of the light produced is directed towards the required area. 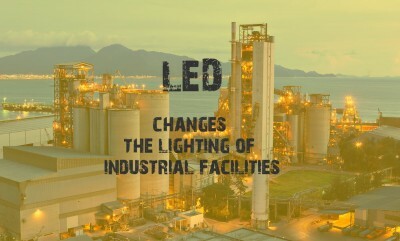 Another factor to consider when choosing LED light fixtures for warehouses and industrial facilities is the durability. On top of that, you want the fixtures to have a long lifespan, such that you do not have to replace them after every few weeks. Instead, you should get fixtures that will give you a long service period with minimal repairs and maintenance. Another important factor to consider when you are looking to buy LED fixtures is their availability. Ever since the LED lights entered their demand has gone up at an exponential rate. As a result, several LED manufacturers have entered the market, and in the process of trying to outcompete each other, they are always releasing new and more innovative designs for light fixtures. 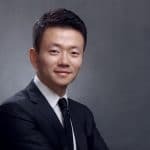 While this might be a good thing in that you have a wide variety of options to consider, it might also prove problematic. Once you purchase the fixtures you need, you will still need to replace them from time to time when they get damaged or burn out at the end of their lifespan. Therefore, when choosing light fixtures for your warehouse or industrial facility, you should ensure that you can easily get replacements for them when the need arises. Smart LED lighting is a huge trend in industrial operations. Its huge popularity in the industrial sector is due to the energy saving benefits it offers. Smart operations such as dimming, motion detection activation, daylight sensing, occupancy sensing, ultrasonic sensing, infrared sensing, sound sensing, door contact sensing, and others are very useful in ensuring that light fixtures are only on when they are in use. This helps to minimize energy wastage, something that translates into thousands of dollars in saved power bills. Smart operations also help to increase the smoothness of operations in industrial facilities. With smart LED lights, workers in a facility do not have to keep switching lights on and off. The lights will automatically switch on or off whenever required. When considering smart lighting, you have to take into account that smart LED fixtures are expensive, and so are the light control systems that are available on the market. Industrial lighting needs are much more complex, and while LED fixtures can offer reliable solutions for these needs, you need to have the right fixtures to enjoy the best lighting. With the above considerations, you can be able to choose the most suitable LED fixtures for your warehouse or industrial facility.